It was more than 25 years ago that the High Weald Dairy was started with a small flock of milking sheep. Find out more about us and our business. 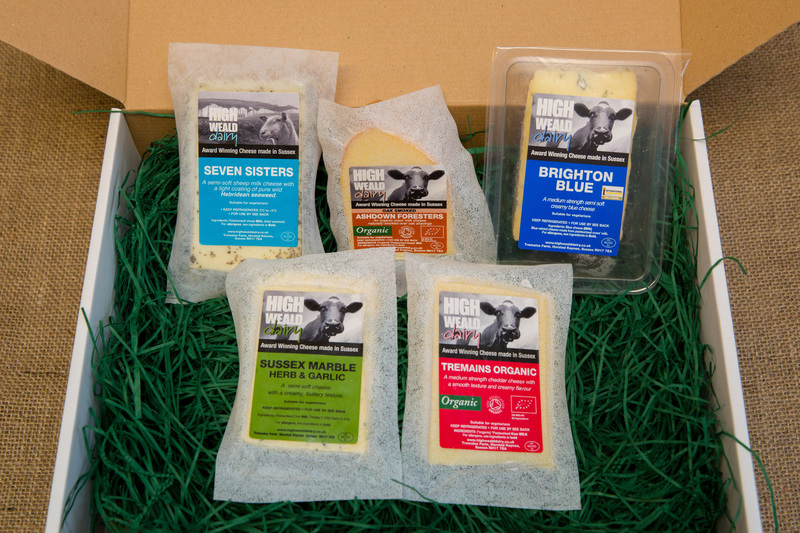 From fresh and mild Sussex Slipcote to veined Brighton Blue, there's bound to be a cheese to your taste in our range. Seven Sisters: Typical values per 100g (estimated): Energy - 1837 Kj/443 Kcal; Fat - 35.4g, of which saturates - 23.2g; Carbohydrates - 3g, of which sugars - 0.1g; Protein - 24.2g; Salt - 1.67g. Ashdown Forester's: Typical values per 100g: Energy - 1719 Kj/415 Kcal; Fat - 34.5g, of which saturates - 21.7g; Carbohydrates - 2.6g, of which sugars - 0.2g; Protein - 23g; Salt - 1.8g. Brighton Blue: Typical values per 100g: Energy - 1573 Kj/380 Kcal; Fat - 31.3g, of which saturates - 20.4g; Carbohydrates - 3.1g, of which sugars - 0.1g; Protein - 22.4g; Salt - 3g. Sussex and Chilli Marble: Typical values per 100g: Energy - 1588 Kj/383 Kcal; Fat - 31.2g, of which saturates - 17.5g; Carbohydrates - 2.5g, of which sugars - >0.1g; Protein - 23g; Salt - 1.8g. 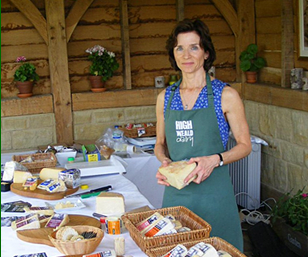 Buy our Cheese Tour and Cheese Tasting as a gift experience - the perfect present for a cheese lover!